Lake Rotokura reflecting new moon in waters tapu, or sacred, to Ngati Rangi, on the flanks of Mt Ruapehu. Lake Rotokura Ecological Reserve. 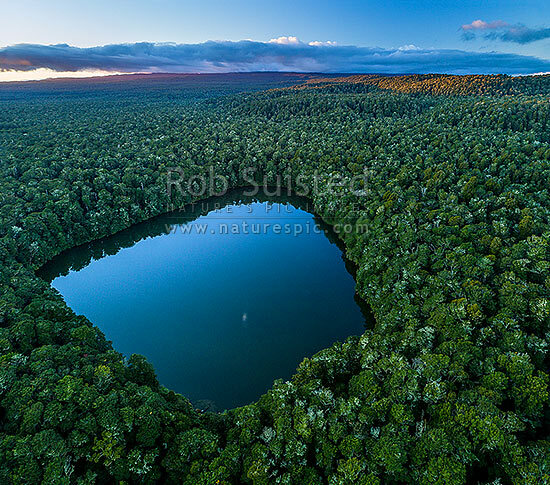 Aerial view over beech forest at sunset. Square format, Rangataua, Ruapehu District, Manawatu-Wanganui Region, New Zealand (NZ), stock photo.